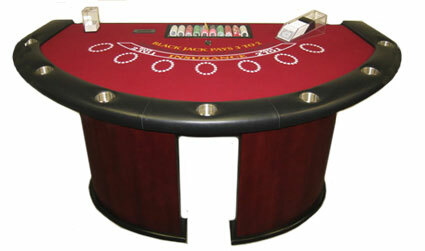 Our blackjack tables are beautiful and will add an unbelievable look and feel to your casino party or event! Our blackjack casino tables are of the highest quality materials and will give your event a great look and feel! 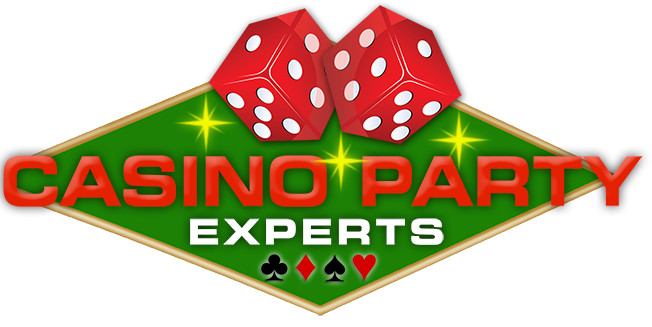 This is a professional full size Blackjack Table rental that can accommodate seven (7) Player Positions plus a Dealer Position – comes with 7 jumbo size Cup Holders – Dealer Chip Tray full of chips – Padded Armrest – ¼ moon wooden legs – Wood Reinforced Exterior Frame – Size 76”W x 36’H x 48″D. Table is covered with a digitally printed synthetic felt that doesn’t absorb liquids. Underneath the felt is open-core foam which also doesn’t absorb liquid. If a guest spills a drink on the table, a bar towel can be used to clean up the spilled liquid in a matter of moments and the entire table is ready for play again. – Let the dealer draw additional cards until his or her hand exceeds 21.